The posting about Mark’s shortwave recording of Radio Tahiti brings back memories from the 80s. In 1982 I visited Tahiti with my family during a holiday from Malaysia, where I was working at that time, and could listen to Radio Tahiti locally. Back in Malaysia I managed to catch Radio Tahiti on 15170 kHz with my DR-28 and got the reception report verified with a nice QSL card. When I moved back to Sweden a few years later I also managed to catch Radio Tahiti on 15170 kHz and got the reception report verified with another nice QSL card. I saw that a QSL card from Radio Tahiti 1981 recently was sold on E-bay for $66.50!! so you better keep these old rarities. Many thanks for sharing, Lennart! You’re right…some of these QSL cards are worth quite a bit of money on eBay. Take good care of them! Readers: if you’d like to take proper care of your QSL collections, please read our guide to archiving. This entry was posted in News, Nostalgia, QSL Gallery, Shortwave Radio and tagged Lennart Weirell, QSL Cards, QSL Gallery, Radio Tahiti, Tahiti, Tahiti QSL on October 29, 2018 by Thomas. Hawaii 5 MHz from 2006 [above]. Thanks for sharing this excellent QSL, Lennart! At WWVH Hawaii from left to right: Dean Takamatsu, Dean Okayama, Director Copan, Adela Mae Ochinang and Chris Fujita. This would equate to the closure of WWV, WWVH and WWVB. Unless enough people protest this budget proposal, these sites will be closed. If you value these services, I would encourage you to contact your local representatives, and sign this White House petition. This entry was posted in News, Shortwave Radio and tagged Lennart Weirell, QSL, QSL Cards, QSL Gallery, WWV, WWV Closure, WWVB Closure, WWVH, WWVH Closure, WWVH QSL on August 19, 2018 by Thomas. Front of the NSS QSL card–the back has contact info an excellent explanation of NSS with photos. I wanted to pass along some information regarding the NSS Annapolis radio station. Last year’s cards were sent out for Armed Forces day with one generic card with all the callsigns. This year the ops at NSS will be sending cards direct on their own to ALL amateur stations who worked NSS without solicitation via their address posted in QRZ.com. SWLs can send a full SWL report with station worked, time to K3LU via the QRZ.com address or email me for my address at K3LU@hotmail.com. A SASE is helpful but not necessary. Thanks so much, Ulis! What a great service to the SWL community! This entry was posted in News, Shortwave Radio and tagged NSS, QSL Cards, shortwave, Ulis Fleming (K3LU), US NAVY NSS on June 19, 2018 by Thomas. The three letters – QSL – constitute one of the codes originally developed in the days of the telegraph. All codes consisted of three letters beginning with “Q”. Later some of these “Q” codes were adopted by radio-telegraphists and radio listeners. QSL means “contact confirmed” or “reception confirmed”. The expression “QSL card” or just “QSL” gradually came to be used among radio-amateurs and then more broadly as radio began to develop as a mass medium. 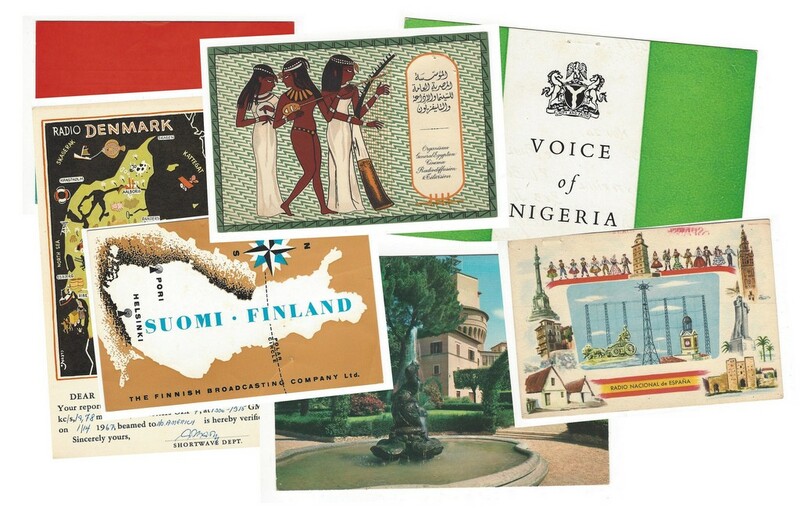 Radio stations were keen to know how well and how far away their programmes could be heard and began to send their listeners “QSL cards” in return for reception reports. The card would include letters making up the “call sign” of the station – the system still used in the United States – or the broadcasting company’s logo or some other illustration. The card would also include a text stating the frequency and the transmitter output power, and a confirmation of when the listener heard the station. Domestic broadcasters do not tend to use QSL cards these days, but their popularity remains among radio stations broadcasting internationally. They are still keen to know how well they can be heard in the parts of the world to which they broadcast. In the era of shortwave broadcasts Radio Prague sent out QSL cards for reception reports received. After curtailing our shortwave transmissions as of February 1, 2011 we will continue issuing QSL cards for reception via the Internet. Click here to read this article and view the new QSL card gallery at Radio Prague. This entry was posted in News, QSL Gallery, Shortwave Radio and tagged David Iurescia (LW4DAF), QSL Cards, Radio Prague, Radio Prague QSL on January 4, 2018 by Thomas. The short answer–? Please don’t! You should never apply heat-seal or adhesive (cold) seal lamination to a QSL card or any other paper memorabilia if your ultimate goal is to protect and archive it. Why? Doesn’t lamination, for example, make your card impervious to moisture (and spilled coffee)? Sort of. So that makes it safe for the long term, doesn’t it? Well…not exactly. These forms of lamination, over time, basically destroy printed media. In the short term, laminating your cards can look great, and will keep some of the coffee off (though it may still seep in the sides); in the long term, however, the (petroleum-based) plastic can “off gas,” causing a detrimental chemical reaction with the media it attempts to protect. Plastic can also be acidic. Coupled with the lamination heat (or the adhesive, in the case of cold-seal lamination) these processes can actually speed up the aging process “causing progressive deterioration and eventual embrittlement,” according to one archiving source. I feel fairly passionate about this because, during my undergraduate studies, I worked for my university archives department where I was taught (by an excellent and knowledgeable archivist) to handle, document, index, and preserve sensitive documents, books, photos, cards, slides and other forms of media (known in the trade as “ephemera”). Many times, we’d receive important documents or photos from donors who had laminated them, believing they were archiving these items for future generations. Alas, we saw the results of the lamination damage first-hand: decades-old items that had been heat-laminated were separating and clouding up, often tearing apart the item inside. Our head archivist likened laminating to a self-destruct mechanism. Take away? Lamination is a very bad idea for the long-term protection of any print media. Archival sleeves come in all forms. This one holds four cards and fits in a three ring binder. Fortunately, there are effective (and fairly affordable) ways to properly archive and organize your QSL card collection, as well as other sentimental and/or valuable ephemera. Look for archival transparent sleeves supplied to libraries. 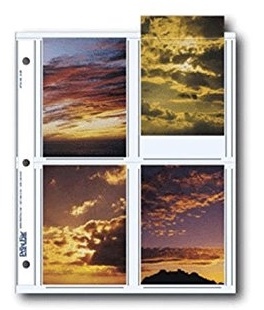 These are generally made of polyethylene, mylar/polyester, or another transparent archival material that passes the Photographic Activity Test (PAT). In short: If you find an archival sleeve, from a reputable seller that passes the P.A.T. test, you’ll know it’s safe. Archival products are acid-free, lignan-free, and chemical softener-free, thus should not interact or bind with the media you’re preserving as non-acid-free items are prone to do. With anything I wish to archive, I go with archival quality all the way. For example, I make sure not only the clear sleeves or pages are archival, but that the binder or box containing the items are acid-free and of archival quality, as well. Any labels I use are archival, as well . That may seem like overkill to many, but it’s just what an archivist would do! Storage of the media is also important; you don’t want to put your cards in archival sleeves and then leave them in a damp shed or shack where moisture can become trapped between your card and the encapsulating archival sleeve; mold could still develop. So a dry, somewhat temperature-controlled environment is key. Generally speaking, keeping ephemera indoors where you live may be a better option. 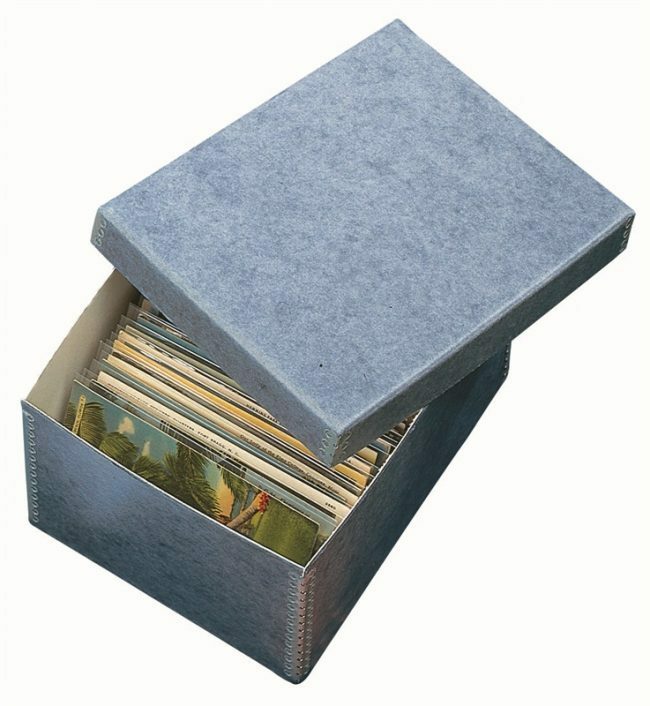 A simple acid-free box can store hundreds of QSL cards in archival sleeves sleeves. Archival products are more expensive than standard office products, but they’re worth it. Make sure you’re purchasing the best quality you can afford. Two of my favorite suppliers are Gaylord Archival and Light Impressions, though there are many other reputable ones out there. Amazon and eBay offer sources of archival quality products, as well, and pricing can be more competitive than either of the retailers I’ve listed above. As for myself, I only buy archival products from retailers that specialize in them. Both Light Impressions and Gaylord Archival have helpful staff you can call on the phone. They’ll help you find the best material for the preservation of your collection of QSL cards or whatever else you may want to protect. I’d rather support Light Impressions with my purchase knowing that their standards are strict and their reputation rides on their products meeting strict archival standards. If you’re going to pay for something to protect your memorabilia, I say, go for quality! And in the meantime…give the heat lamination a miss. Good luck with your long-term archiving! And don’t forget to share those rare QSL cards with us here. This entry was posted in How To, News, Nostalgia, QSL Gallery, Radio History and tagged Acid Free, Archive, Gaylord Archival, How to archive ephemera, How To Archive Printed Material, Light Impressions, QSL Archiving, QSL Cards, Radio Archiving on June 26, 2017 by Thomas.